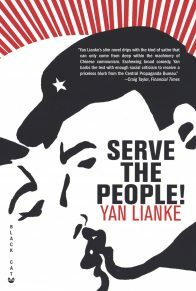 Man Booker International Prize finalist Yan Lianke’s most powerful and searing novel yet, about the persecution of intellectuals in a reeducation camp during the Great Leap Forward. Yan Lianke is the author of numerous story collections and novels, including The Years, Months, Days; The Explosion Chronicles, which was longlisted for the Man Booker International and PEN Translation Prize; The Four Books; Lenin’s Kisses; Serve the People!, and Dream of Ding Village. 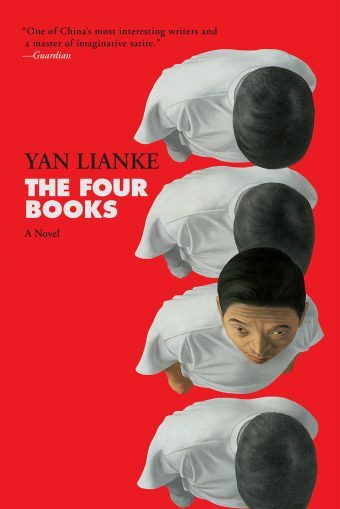 Among many accolades, he was awarded the Franz Kafka Prize, he was twice a finalist for the Man Booker International Prize, and he has been shortlisted for the Independent Foreign Fiction Prize, the Man Asian Literary Prize, and the Prix Femina Étranger. 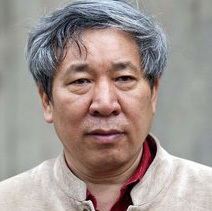 He has received two of China’s most prestigious literary honors, the Lu Xun Prize and the Lao She Award. Acclaimed author Yan Lianke’s The Four Books is a daring, darkly satirical story of the dog-eat-dog psychology inside a labor camp for intellectuals during China’s “three bitter years” of famine. 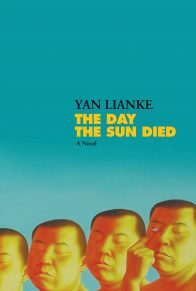 Reminiscent of such classics as A Day in the Life of Ivan Denisovich and Darkness at Noon, Yan’s mythical, symbolic, sometimes surreal tale portrays the absurdity and grotesquerie of this traumatic period, which has been a taboo subject for a half century. 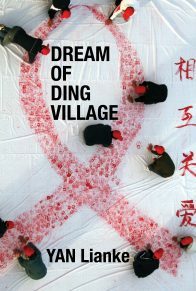 In the ninety-ninth district, a subdivision of a sprawling labor camp in an isolated part of Henan province, a group of highly educated citizens are imprisoned to restore their commitment to Communist ideologies. 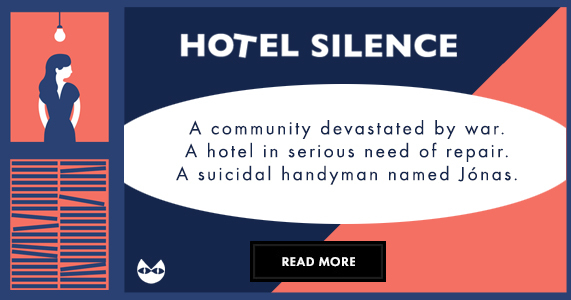 Here, the Musician and her lover, the Scholar—along with the Author and the Theologian—live inside a community where everyone is encouraged to inform on each other for dissident behavior. The prize: winning political favor and the chance at freedom. 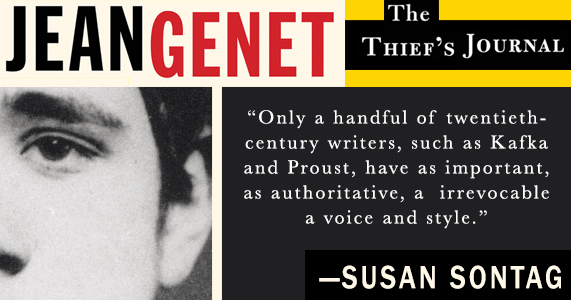 They’re overseen by a preadolescent supervisor, the Child, who delights in draconian rules, policing inmates’ conduct, and confiscating books. But when massively inflated production quotas in steelmaking and grain harvesting rise to an unattainable level, the camp dissolves into lawlessness as the prisoners exhaust themselves to meet their goals, eventually trying to grow wheat by feeding the seedlings their blood. As famine and inclement weather arrive, the intellectuals are abandoned by the regime and left on their own to survive. Divided into four narratives—influenced by the four texts of Confucianism and the four Gospels of the New Testament—The Four Books is an affecting and poetic novel that captures the universal power of camaraderie, love, and faith against oppression and the darkest odds. 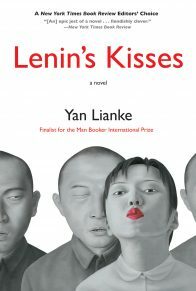 Carlos Rojas is the translator of several books by Yan Lianke, including The Day the Sun Died, The Years, Months, Days, The Explosion Chronicles, The Four Books, shortlisted for the 2016 Man Booker International Prize, and Lenin’s Kisses. 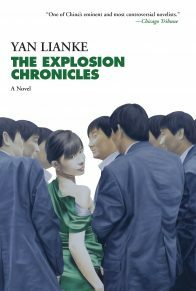 His other translations include Yu Hua’s Brothers, which he co-translated with Eileen Cheng-yin Chow and which was short-listed for the 2008 Man Asian Literary Prize. He is the author of Homesickness: Culture, Contagion, and National Reform in Modern China, The Great Wall: A Cultural History, and The Naked Gaze: Reflections on Chinese Modernity, as well as many articles. He is a professor in the Department of Asian and Middle Eastern Studies at Duke University.